Despite this, many homes can produce the majority of their annual requirements while also selling surplus power to the National grid via the feed-in tariffs using photovoltaic technology. 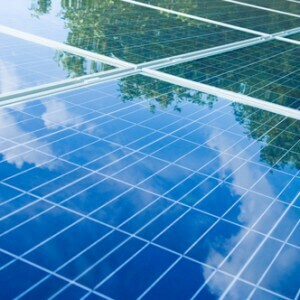 This reality, of course, is dependent on the system size installed and the type/specification of the panel you choose. Secondly, the apparent difference between Earthbound PV solar panels and those of the ISS are the inability of the space station to feed into the National Grid (for obvious reasons). Before the days of the feed-in tariff incentive, many photovoltaic installations used battery storage when producing surplus energy, and it is this set-up that allows the station to function at times when it is on the nighttime side of the planet. This self-contained module which orbits the Earth do encounter night and day as it travels sixteen times around the planet in any 24 hour period, but the 75-110 kilowatts of power required to keep the space station operational and supplied by the 239.4 feet or 73 metres of solar panels. An additional technological advantage that the ISS has over a typical household solar installation is the sun tracking abilities which allow each independent solar array to move independently to maximise output as it travels around the planet. Despite this, the photovoltaic panels on the ISS incorporate the same solar cell technology which you may have or soon may have attached to your roof. One of the aspects of solar panel technology which makes the ISS possible is longevity. The twenty-five to thirty year’s performance of an average array is the prime reason the space station exists at all. Without this long-term guarantee, the station would never have been constructed, and the current conventional space programme would have ground to a halt after the Apollo missions. Yes, PV solar panels are the sole reason NASA still exists today. This accolade is an accolade which few people are aware of, but without the ability to power the ISS’s life support systems, the banks of servers, 52 computers and lighting within the modules wouldn’t be possible. The modern submarine technology uses nuclear generation to power their similar remote status, but the dangers of a nuclear device on an exploding rocket launch or nuclear material falling back down to Earth prevents this from being viable for space missions. PV solar panels have one distinct advantage over even nuclear generation reactors, or any other power generation technology for that matter, and that’s photovoltaics dependability. Unlike other technologies, there are no moving parts, and that assurance when you are 220 miles above the ground is priceless. This kind of technological reliability is unheard off in our modern age, and I believe solar panels should be given greater credence in our society, but despite this, the importance of them will grow and grow as we lose our ability to keep everyday energy prices affordable here on Earth. Constructed at the beginning of the 21st-century and ironically at the high point of the peak oil slide, the space station is a symbol of our times as our modern lives step boldly into the unknown. Alongside the equally impressive solar-powered Mars rovers, interplanetary surveyor Cassini and the Viking missions currently at the edges of the solar system, these show how solar panel technology is literally at the cutting-edge of space exploration, and I am happy to say home energy generation too.